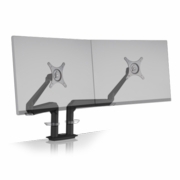 The Dual EVO® monitor arm utilizes our award-winning EVO® monitor arm in a dual monitor desk mount application. 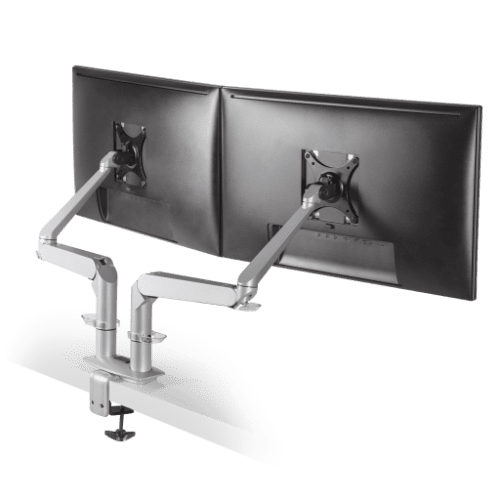 The monitor arms provide intuitive function and dual monitor rotation for easy, ergonomic viewing of both screens. The dual monitor setup can be clamped to the desk edge or bolted through the desk. Extremely flexible positioning of dual flat panel monitors. Stylish desk mount design complements any office environment. Ease-of-use encourages users to work with their dual monitors ergonomically. Cable management reduces workplace clutter. Rotate dual monitors for portrait or landscape viewing. Tension adjustment at each joint. 180-degree rotation stop prevents monitor arm from swinging into screens or walls. Durable, quick-install VESA adapter reduces installation time. 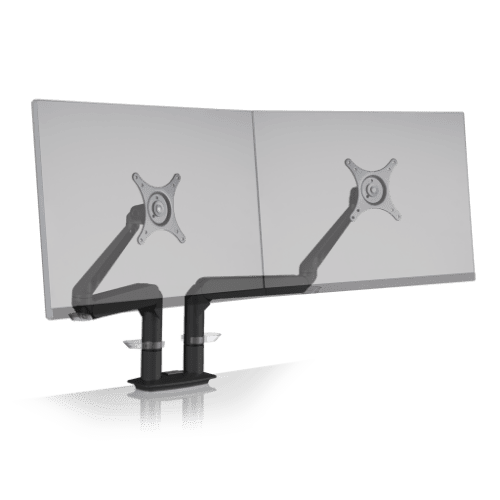 Supports two monitors with screen sizes up to 27".